Pacific Palace Hotel Batam is a unique 4-star hotel shaped like a cruise line with Greek mythology design on the interior. Our promotional Pacific Palace Hotel Batam Package includes 1-night stay with breakfast, 2-way ferry tickets from Singapore, 2-way Batam land transfers, and option of Batam tour with seafood lunch and body massage. Situated just 5 minutes away from the Harbour Bay Ferry Terminal and 10-minute drive away from Batam Nagoya Hill area, this hotel is all about convenience. 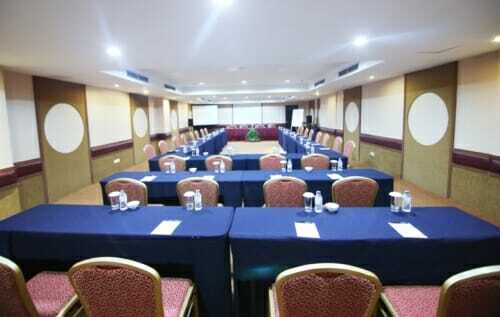 Other hotels in the vicinity of Pacific Palace are Swiss-Belhotel Harbour Bay Batam, Zest Hotel Harbour Bay Batam and Planet Holiday Hotel Batam. 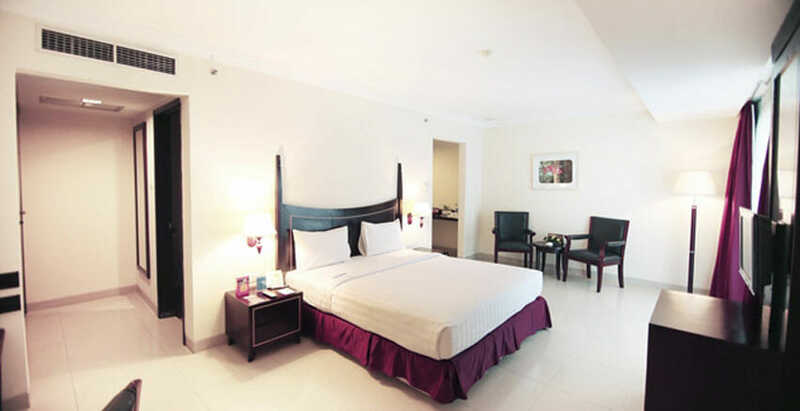 Having a large compound with 180 guest rooms and meeting facilities, Pacific Palace hotel is suitable for all leisure and business travellers. 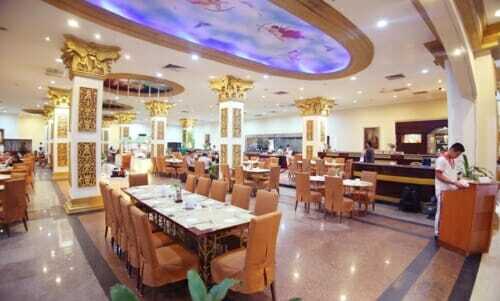 This hotel has all the basics and more: Spa centre, swimming pool, Jacuzzi, sauna, kids pool, KTV, Disco, meeting rooms, ballrooms, restaurants, etc. Other hotels in the Harbour Bay area that you could consider: Zest Harbour Bay Hotel Batam and Swiss-Belhotel Harbour Bay Batam. If you intend to stay at this hotel, plan your trip as there is a slight surcharge for a stay over the weekend. In addition, additional surcharges might apply on some public holidays. Whether you’re planning to book a Pacific Palace Hotel batam package with ferry and tour or just a basic hotel and ferry package, be sure to get the best rate by booking with us. Overrated i think. Only unique design. Old. unique concept, to have a cruise ship as a hotel. it can be abit disturbing if your cabin room is near the nightclub as it can get fairly noisy at night. try to request for rooms further away. one stop night club and entertainment hub! hotel rooms are slightly small. Massage is a must try. 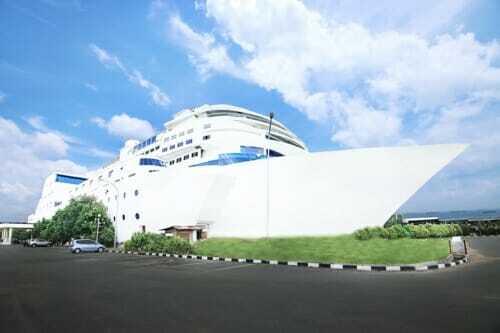 STAR CRUISE HOTEL. VERY UNIQUE AND MARVELLOUS. HAVE GREAT SPA! !